But it is extremely rare - if not unprecedented - for Mueller's office to issue such a statement. "Fake News is truly the ENEMY OF THE PEOPLE!" he added, a now familiar refrain when talking about critical media. "Any suggestion - from any source - that the president counseled Michael Cohen to lie is categorically false. 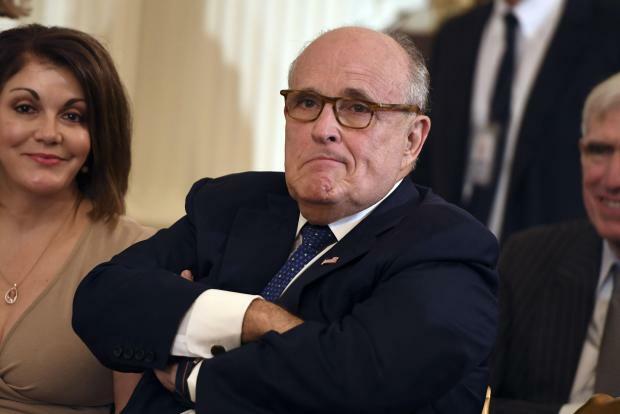 Michael Cohen is a convicted criminal and a liar," Giuliani said in a statement quoted by New York Times reporter Maggie Haberman. But he turned on his former boss after he was charged with giving hush money to women alleging affairs with Trump ahead of the 2016 election -- payments that violated campaign finance laws. "Our committee is already working to secure additional witness testimony and documents related to the Trump Tower Moscow deal and other investigative matters," said Intelligence Committee chairman Schiff.